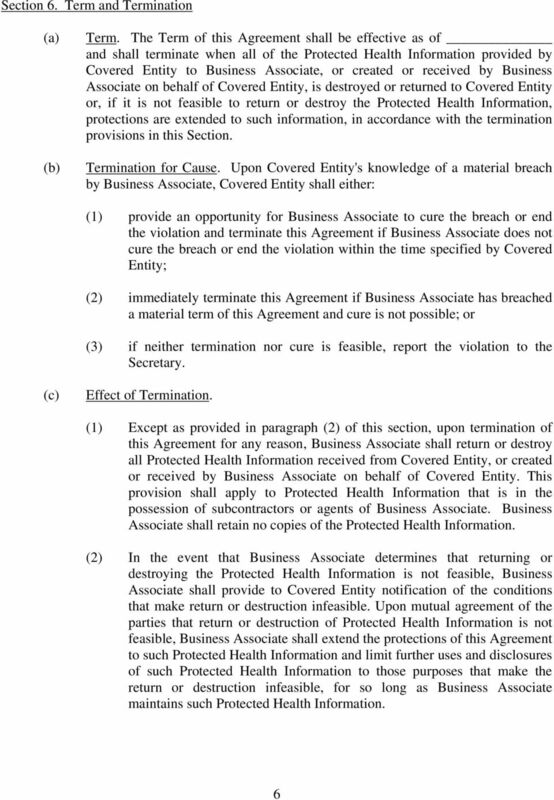 Download "BUSINESS ASSOCIATE AGREEMENT. Business Associate. Business Associate shall mean." 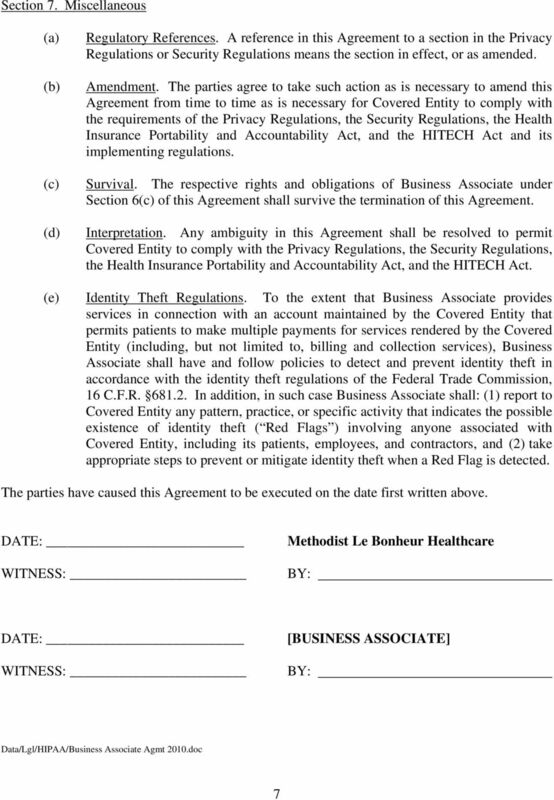 1 BUSINESS ASSOCIATE AGREEMENT This Business Associate Agreement is made as of the day of, 2010, by and between Methodist Lebonheur Healthcare, on behalf of itself and all of its affiliates ( Covered Entity ), and ( Business Associate ). In consideration of the mutual covenants contained in this Agreement and intending to be legally bound, the parties agree as follows: Section 1. Definitions (d) (e) (f) (g) Business Associate. Business Associate shall mean. Covered Entity. 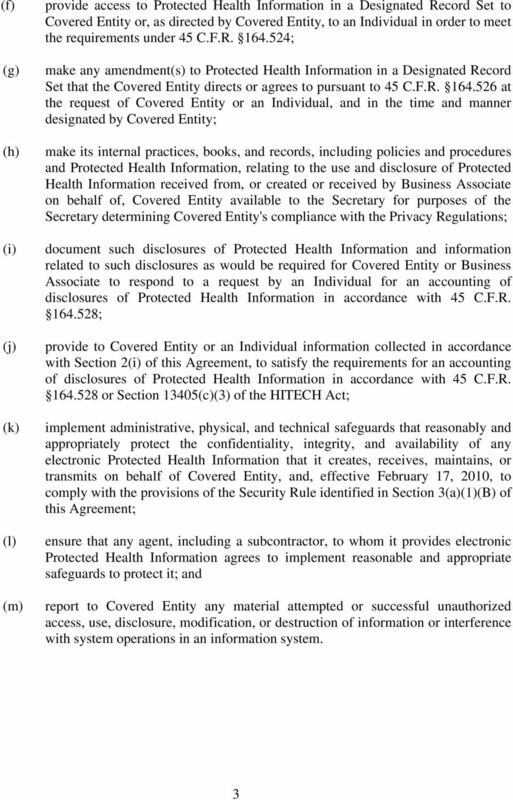 Covered Entity shall mean Methodist Le Bonheur Healthcare and all of its affiliates. Breach. 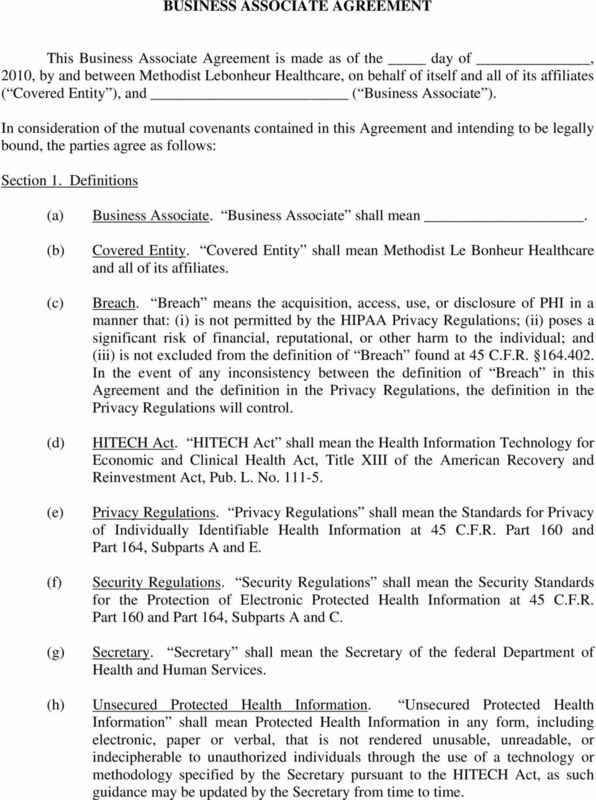 Breach means the acquisition, access, use, or disclosure of PHI in a manner that: (i) is not permitted by the HIPAA Privacy Regulations; (ii) poses a significant risk of financial, reputational, or other harm to the individual; and (iii) is not excluded from the definition of Breach found at 45 C.F.R In the event of any inconsistency between the definition of Breach in this Agreement and the definition in the Privacy Regulations, the definition in the Privacy Regulations will control. HITECH Act. HITECH Act shall mean the Health Information Technology for Economic and Clinical Health Act, Title XIII of the American Recovery and Reinvestment Act, Pub. L. No Privacy Regulations. 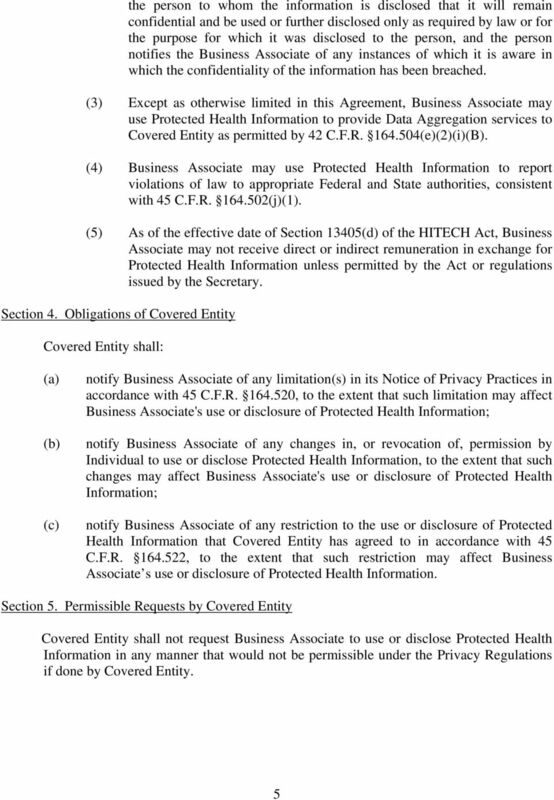 Privacy Regulations shall mean the Standards for Privacy of Individually Identifiable Health Information at 45 C.F.R. Part 160 and Part 164, Subparts A and E. Security Regulations. Security Regulations shall mean the Security Standards for the Protection of Electronic Protected Health Information at 45 C.F.R. Part 160 and Part 164, Subparts A and C. Secretary. Secretary shall mean the Secretary of the federal Department of Health and Human Services. 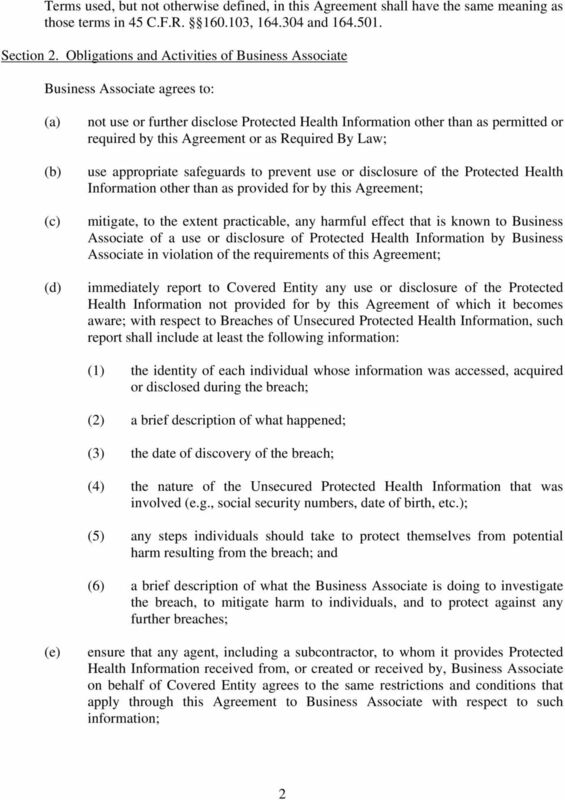 (h) Unsecured Protected Health Information. Unsecured Protected Health Information shall mean Protected Health Information in any form, including electronic, paper or verbal, that is not rendered unusable, unreadable, or indecipherable to unauthorized individuals through the use of a technology or methodology specified by the Secretary pursuant to the HITECH Act, as such guidance may be updated by the Secretary from time to time. Receipt of the BAA constitutes acceptance thereof, provided that you do not provide a written objection within fourteen (14) days of receipt.